The holiday season is upon us and there are conversations happening everywhere about family gatherings and food planning. For those with diabetes or other food challenges, @cdiabetesinfo has designated a twitter chat all about Healthy Menu Planning for the Holidays with best-selling author @marlenekoch. By participating in this online discussion, you will eligible to win (1) of (3) signed copies of Marlene Koch’s cookbook Eat More of What You Love. Click here to view the analytics for this Twitter chat event. 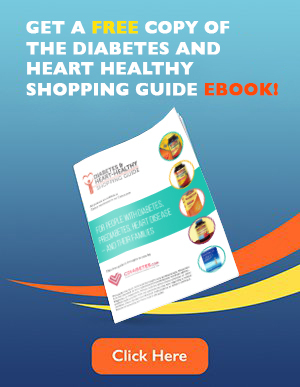 marlenekoch Excited to share diabetes friendly holiday tips with you @ CDiabetesinfo #diabeteschat. I love to do brunch! diabetesincntrl #diabeteschat Spice things up! Serve a healthy fruity smoothie in a champagne flute! Nothing like celebrating Easter in style! mindfuleatingrd #diabeteschat I eat what I love with #diabetes – mindful eating so important! hollyclegg #diabeteschat @marlenekoch @DiabetesINFL Line your baking pan with foil with roasting veggies for easy clean up! mindfuleatingrd @hollyclegg @DiabetesINFL #diabeteschat what’s a great side dish that isn’t carb rich?? mindfuleatingrd “@smnutritionist: Zucchini ricotta pie w Parmesan – easy, #glutenfree & very #lowcarb #diabeteschat http://t.co/q2deqJrkXR looks yummy! corlansky #DiabetesChat Love that #Passover is on Friday night this year, college kids able to join us! 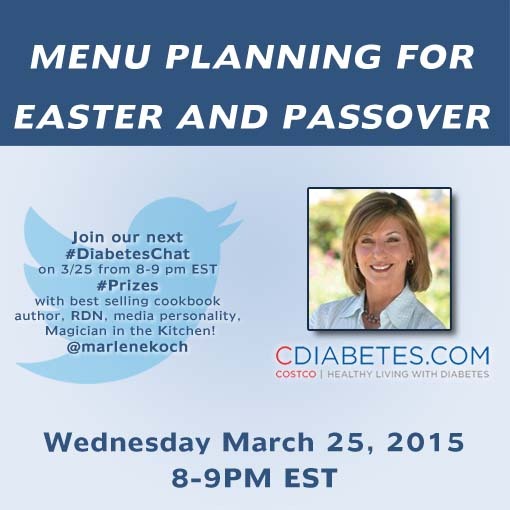 corlansky #Diabeteschat carb counting for #Passover does not have to be difficult. mindfuleatingrd @marlenekoch @rlewis #diabeteschat. What’s your favorite app to serve? corlansky @themamamaven @trueandwell Love this idea spaghetti squash works and is delicious! #Diabeteschat learning from each other! corlansky #Diabeteschat Important to monitor kids with DM at Pesach; wine is important part of #seder. mindfuleatingrd @hollyclegg @marlenekoch #diabeteschat. Don’t forget waxed paper! Makes clean up easy for rolling out pies and safe reheating. corlansky @DiabetesInCntrl Thank you for support #Diabeteschat CDE’s need to feel the love. 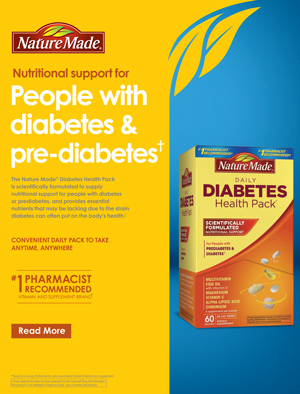 primetimeparent @sweetfoodie @marlenekoch #diabeteschat so nice, picking another winner! 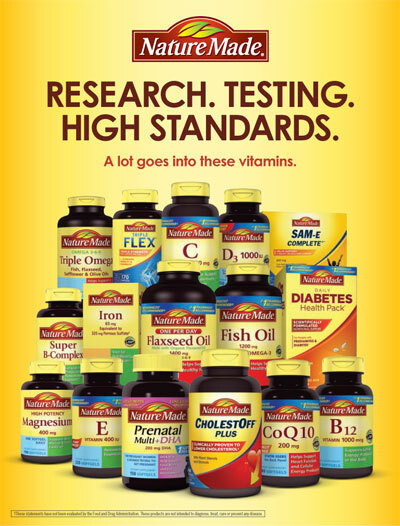 primetimeparent If you won a #prize during tonight’s #diabeteschat please follow me back so I can get your info. hollyclegg “@melinda74: @primetimeparent @marlenekoch thanks!! #DiabetesChat” thanks! diabetesincntrl #diabeteschat may be ending now, but we always welcome questions! Feel free to follow to receive advice, tips, news & more!